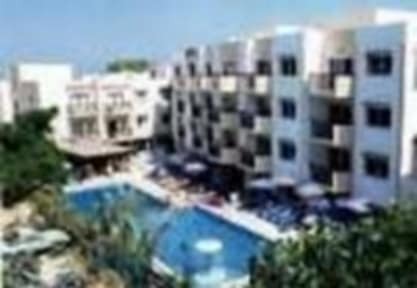 Mariela Hotel Apartments v Paphos, Kypr: Zarezervujte nyní! We accept special interested groups. The Mariela Hotel Apartments is a recently updated and extended complex of 64 units. It consists of 38 one bedroom apartments for 2-4 persons and 38 studios for 2-3 persons. It is a charming complex with its own friendly family atmosphere surrounded by beautiful gardens. Polis is the ideal holiday location for the select few who appreciate authenticity and seek rest and tranquillity in a pleasant and friendly environment. This area blends mountains, sea and plain with a wonderful healthy climate, a mild winter, a particularly warm, clear sea and sandy beaches. 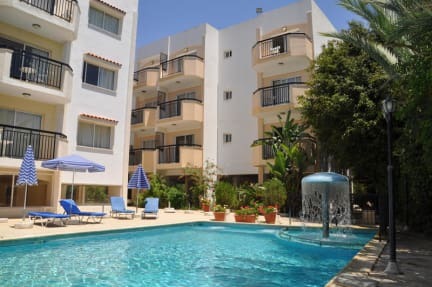 We are only a five minute walk to the centre of the town, 1km to the beach and 3km to Latchi harbour leading to Aphrodite's baths and the beautiful Akamas National Park. Please note that the air conditioning has a charge: 5 Euro per night per room.